My friend Bob loved Salvador Dali, so I did this drawing for him. He has the original on his wall in his living room. I also decorated his letterbox in true Dali style, drippy clocks and all. Quite like the drawing, so thought I would share it. 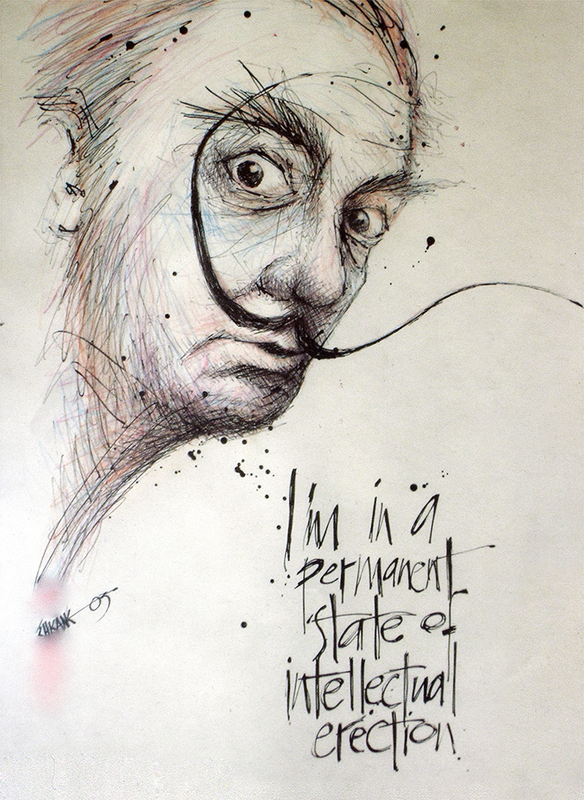 This entry was posted in Celebrity and tagged Dali, Drawing, I'm in a permanent state of intellectual erection, Salvador Dali, sketch, Surrealism by Mark Winter / Chicane. Bookmark the permalink.